Introducing the all new Windscreen Wizard a specialised bespoke manufactured product which allows you to remove a whole windscreen in minutes. Designed in conjunction with specialist engineers, windscreen removal companies and windscreen technician experts this product finally produces the perfect solution for the growing need for a wire removal system for a modern day windscreen. 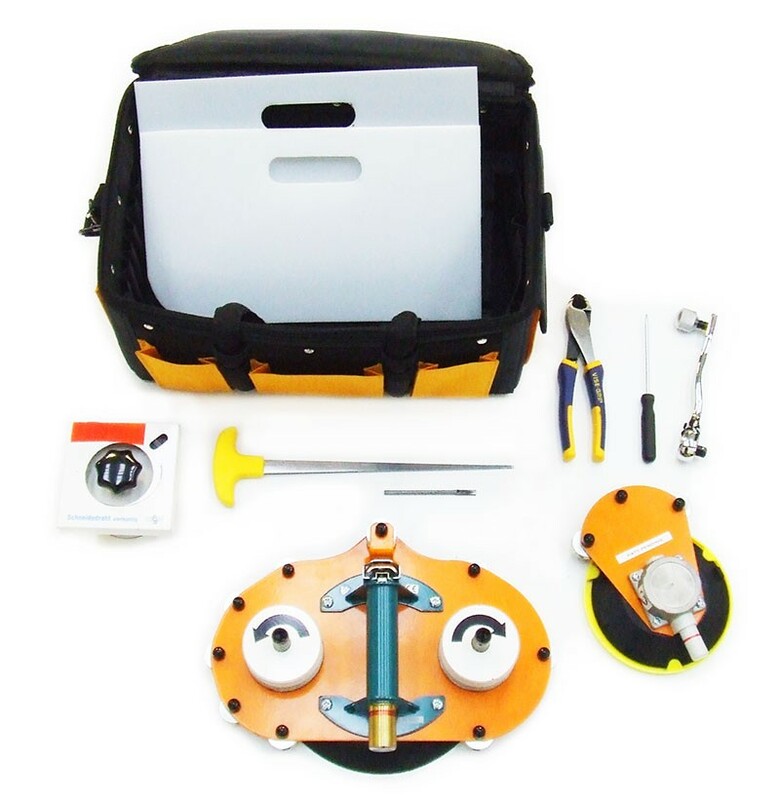 In the hands of a trained technician, a vehicle windscreen can be removed without fuss or mess in less than 20 minutes with the Windscreen Wizard tool-kit. Like all great inventions, its brilliance lies in its simplicity. It operates like a cheese-cutter to pull a wire through the surrounding urethane on which the windscreen sits. The ‘cheese-cutter’ is cleverly mounted on the interior of the windscreen by suction-activated vacuum pumps, to which a fence-tensioning type of ratchet is attached. By winding the ratchet, this pulls the ‘cheese-cutting’ wire through the sealant around the windscreen and – when completed – the windscreen can simply be lifted out by hand by the technician. Video demonstrates the Windscreen Wizard Pro / Full Kit.